NUI Galway is pleased to announce the appointment of Máire Uí Dhroighneáin as Sean-Nós Singer in Residence at the Centre for Irish Studies. A native of Spiddal, Máire received the Gradam Sean Nós Cois na Life in 2004 in recognition of her contribution to the living tradition, both as a performer and as a teacher. She has also won Comórtas na mBan at the Oireachtas and has been runner-up in Corn Uí Riada, the premier award for sean-nós singing. Máire also has extensive experience as an actress, both on stage and screen and is perhaps best known to television audiences for her portrayal of Máire, the sanctimonious shopkeeper, in the popular RTE soap opera, Ros na Rún. Over the past 17 years, Máire has been involved with An Gaelacadamh, teaching children the songs that were passed on to her and which she is now handing on to a new generation, many of who have gone on to compete successfully at the Oireachtas, and at various fleadhanna ceoil. Máire cites her mother Máire Nic an Ríogh, from An Gleann Mór, Carraroe, as a formative influence on her singing style. "She used to sing while she was working around the house or trying to get us to sleep and those are the first songs I can remember. I had her tormented, asking her to sing the same songs over and over again," she said. Other singers to have influenced Máire include; Pat Phádraic, Máire Chólman Nic Dhonnacha, Máire Áine Nic Dhonncha, Tom Ó Conghaile, Máirtín Phatch Ó Cúláin, Seán Mac Donncha and Seosamh Ó hÉanaí. During her residency, Máire will participate in a series of performances and workshops at the Centre for Irish Studies and other venues throughout Connemara and the Aran Islands. She will also record her own work and that of other singers. Workshops at the Centre for Irish Studies will commence on Tuesday 14 February 2006 at 7.00pm and will run until Easter. The project is funded by Ealaín na Gaeltachta, Údarás na Gaeltachta and An Chomhairle Ealaíon in association with the Centre for Irish Studies at NUI Galway. 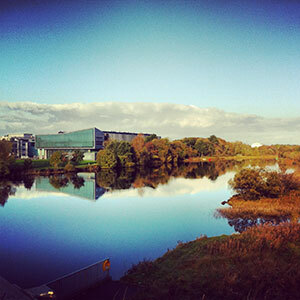 St Angela s College, Sligo has become a College of NUI Galway, with effect from January 1, 2006, under a formal Agreement between the College and the University. This is the first occasion on which an independent educational institution has become a College of a Constituent University of the NUI. The Agreement, which is aimed at expanding the provision of University education and research in the North-West, will ensure a much closer strategic and working relationship between the College and the University, while ensuring an appropriate degree of autonomy for the College and preserving its independent and separate legal status and its traditional ethos. Students of St Angela s College will also be registered as students of NUI Galway, and their degrees and other qualifications (which will, as with all students within the NUI system, be degrees and qualifications of the National University of Ireland) will be awarded by NUI Galway. The existing governance structures of the College will remain in place and there will be no change in the position of staff as employees of St Angela s College. There will be appropriate cross-representation of staff on the academic and governing bodies of the partner institutions, including ex officio membership of Údarás na hOllscoile (The University Governing Authority) for the President of St Angela s College, with a view to maximising the joint resources of both, in programme development and research, for the benefit of the North-West region. A joint body is also being established to oversee the implementation of the Agreement, including reciprocal use of library, technology and other facilities as appropriate. The Agreement, which is the outcome of discussions in response to an approach by St Angela s College to NUI Galway in recent years, has been welcomed by the staff and governing bodies of both institutions. It has also received the warm support of the Department of Education and Science (which to date has been the funding body for the College), the Higher Education Authority and the Senate of the National University of Ireland. 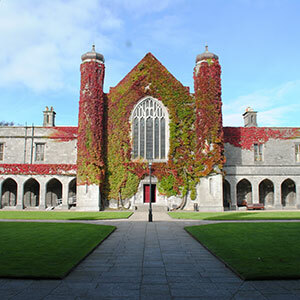 St Angela s College, which has since 1978 been a Recognised College of the NUI, under the oversight of NUI Galway, has ceased to be a Recognised College since December 31, 2005, in consequence of its new status as a College of NUI Galway. St Angela s College, Sligo was founded in 1952 by the Irish Ursuline Union as a training college for teachers of home economics. While its achievements in that area were recognised in 2003 by its being designated by the Minister for Education and Science as henceforth the sole national centre for the training of teachers of Home Economics, with a consequent growth and diversification of its specialisms within that discipline, its educational provision has expanded far beyond that original remit. 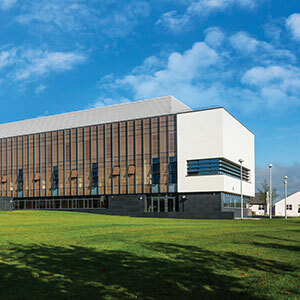 Today it offers programmes at Bachelor, Master, Higher Diploma and Diploma levels in a wide range of aspects of Home Economics, Education (including Special Education Needs), Nursing (General and Intellectual Disability), Food, Textiles, Fashion and Design; it also provides an Access course for the socioeconomically disadvantaged and cooperates in the delivery onsite of NUI Galway s BA programme in Economic and Social Studies. It also has an important Food Product Development Centre and has been involved in a variety of cross-Border projects, with educational institutions in Northern Ireland. The College currently has an enrolment of 510 fulltime and 300 part-time students and a staff of 90 fulltime and 21 part-time. The St. Angela's College community of staff and students enjoy a scenic and tranquil setting on the shores of Lough Gill in the heart of Sligo's Yeats Country. 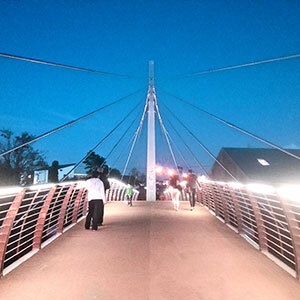 The College campus is located a short distance from Sligo City, which is a vibrant and rapidly growing social, cultural and commercial centre, with good road, rail and air access. A subsidised bus service transports students to and from the campus at regular intervals from early morning to late evening. The College has demonstrated its commitment to the modernisation of its facilities and infrastructure, with ongoing investment in upgrading its teaching and learning facilities, specialist laboratories, information and communications technology, and a range of student facilities and support structures. Under its President, Dr. Anne Taheny, St. Angela's is currently constructing a €9 million Nursing and Health Studies building funded by the Department of Health and Children. Also under construction is a €12 million student residence complex, which will be ready for occupation in September, 2006. Tá Coláiste San Aingeal, Sligeach ina Choláiste d'Ollscoil na hÉireann, Gaillimh ó Eanáir 1, 2006, faoi Chomhaontú foirmiúil idir an Coláiste agus an Ollscoil. Seo an chéad uair go mbeidh institiúid oideachais neamhspleách mar Choláiste ag aon Chomhollscoil de chuid Ollscoil na hÉireann. Is í aidhm an Chomhaontaithe ná an soláthar ollscolaíochta agus taighde san Iarthuaisceart a leathnú, agus ciallóidh sé go mbeidh gaol oibre agus straitéiseach i bhfad níos dlúithe idir an Coláiste agus an Ollscoil. Ag an am céanna, cinnteoidh sé go mbeidh féinriail chuí ag an gColáiste agus go gcaomhnófar an stádas dlíthiúil neamhspleách agus leithleach atá ag an gColáiste agus go gcoinneofar a éiteas traidisiúnta slán. Clárófar mic léinn Choláiste San Aingeal ina mic léinn freisin d'Ollscoil na hÉireann, Gaillimh, agus is ó Ollscoil na hÉireann, Gaillimh a gheobhaidh said a gcéimeanna agus a gcáilíochtaí eile (ar céimeanna agus cáilíochtaí iad d'Ollscoil na hÉireann, mar is amhlaidh i gcás na mac léinn uile i gcóras Ollscoil na hÉireann). Fanfaidh struchtúir rialaithe an Choláiste mar atá agus ní bheidh aon athrú i stádas na foirne mar fhostaithe Choláiste San Aingeal. Beidh crosionadaíocht chuí ón fhoireann ar choistí acadúla agus rialaithe a chéile – agus ballraíocht ex officio ag Uachtarán an Choláiste ar Údarás na hOllscoile mar chuid di sin – é sin chun an leas is fearr a bhaint as a gcomhacmhainní, i bhforbairt chlár acadúil agus sa taighde, ar mhaithe le réigiún an Iarthuaiscirt. Bunófar comhchoiste freisin le maoirseacht a dhéanamh ar fheidhmiú an Chomhaontaithe, agus socrófar go mbeidh a n-áiseanna leabharlainne, teicneolaíochta agus eile i gcomhar acu de réir mar is cuí. Thángthas ar an gComhaontú tar éis do Choláiste San Aingeal teacht chun cainte faoi le hOllscoil na hÉireann, Gaillimh le blianta beaga anuas, agus tá fáilte mhór curtha roimhe ag foireann agus údaráis rialaithe an dá institiúid. Tá tacaíocht láidir tugtha dó freisin ag an Roinn Oideachais agus Eolaíochta (óna bhfuair an Coláiste a maoiniú go dtí seo), ag an Údarás um Ardoideachas agus ag Seanad Ollscoil na hÉireann. Bhí Coláiste San Aingeal ina Choláiste Aitheanta ag Ollscoil na hÉireann ó 1978, faoi mhaoirseacht Ollscoil na hÉireann, Gaillimh, ach tá sí éirithe as bheith ina Coláiste Aitheanta ó Nollaig 31, 2005, de bhun an stádais nua atá gnóthaithe aici anois mar Choláiste d'Ollscoil na hÉireann, Gaillimh. Bunaíodh Coláiste San Aingeal, Sligeach i 1952 ag Aontas Ursulach Éireann mar choláiste oiliúna do mhúinteoirí Eacnamaíochta Baile. Is aitheantas ar ar bhaineadar amach sa réimse sin gur ainmnigh an tAire Oideachais agus Eolaíochta i 2003 an Coláiste mar an t-aon ionad náisiúnta feasta um oiliúint mhúinteoirí Eacnamaíochta Baile, rud a chuir le líon na mac léinn agus na speisialtachtaí sa chlár sin. Mar sin féin, ní taobh leis an ngort sin amháin a d'fhan an Coláiste le roinnt blianta siar, rud is léir ó na cláracha Bunchéime, Mháistir, Ard-Dioplóma agus Dioplóma atá á soláthar aici i réim mhór gnéithe den Eacnamaíocht Bhaile, Oideachas (Riachtanais Speisialta Oideachais ina measc), san Altranas (Ginearálta agus Míchumas Intleachta), sa Bhia, agus i dTeicstílí, Faisean agus Dearadh. Tá cúrsa Rochtana á chur ar fáil aici freisin dóibh siúd faoi mhíbhuntáiste socheacnamaíoch agus comhoibríonn sí le hOllscoil na hÉireann, Gaillimh lena clár BA siúd sa Léann Eacnamaíoch agus Sóisialta a chur ar fáil ar an gcampas sin. Tá Ionad tábhachtach um Fhorbairt Tháirgí Bia aici freisin agus bíonn baint aici le tionscnaimh éagsúla trasteorann i bpáirt le hinstitiúidí oideachais i dTuaisceart Éireann. Faoi láthair tá 510 mac léinn lánaimseartha agus 300 páirtaimseartha, chomh maith le foireann de 90 lánaimseartha agus 21 páirtaimseartha, ag an gColáiste. Suíomh den scoth ar bhruach Loch Gile i gcroílár Dúiche Yeats i Sligeach, atá ag coláiste San Aingeal, achar gearr ó Chathair Shligigh. Tá seirbhís thráthrialta bhus, le cabhair airgid ón gColáiste, ann le mic léinn a thabhairt ó mhoch maidne go deireanach tráthnóna chuig an gcampas ón chathair agus ar ais. Cathair bheoga í Sligeach atá ag fás go tapaidh mar ionad sóisialta, cultúrtha agus tráchtála agus seirbhís mhaith bhóthair, thraenach agus aeir aici. Tá gach dícheall déanta ag an gColáiste cóir nua a chur ar na háiseanna agus ar an infreastruchtúr atá aici, rud is léir ón infheistíocht atá déanta agus á déanamh le feabhas a chur ar na háiseanna teagaisc agus foghlama, na saotharlanna speisialaithe, an teicneolaíocht faisnéise agus cumarsáide agus ar na háiseanna agus struchtúir tacaíochta do na mic léinn. Faoin Uachtarán, an Dr. Anne Taheny, agus le maoiniú ón Roinn Sláinte agus Leanaí, tá foirgneamh €9 m don Altranas agus Léann Sláinte á thógáil faoi láthair ag an gColáiste. Tá ollionad cónaithe do mhic léinn, a bheas réidh i Meán Fómhair 2006, á thógáil freisin faoi láthair ar chostas €12 m.
This year's annual Postgraduate Studies Fair at NUI Galway, which will showcase over 150 programmes on offer at the University, will take place on Monday 6th February, from 1.30 pm–6.30 pm. The popular exhibition takes place in the main Sports Hall of Áras na Mac Léinn (Student Centre). The Postgraduate Studies Fair will give prospective postgraduate students the opportunity to check out their options for next year. Academic staff will be available at over 60 stands which will also be staffed by personnel from Postgraduate Admissions Offices, the Adult Education Office, and the Careers Service, who will provide advice and answer any administrative queries. This year, due to popular demand, the Fair will be supplemented with talks on research and funding, a careers presentation, and postgraduate students will give a talk on "What it means to be a Postgrad". Valerie Leahy, Postgraduate Admissions Officer at the University, said students considering continuing their studies could not afford to miss this year's Fair. "For graduates already in employment who may want to supplement their qualifications with a part-time postgraduate degree or diploma, this exhibition is an ideal opportunity to find out about the many options available in postgraduate studies," she said. "Postgraduate study pays, as it enables the individual to specialise in a particular area and improve their employment prospects. Indeed well over a third of Irish graduates are now topping up their basic degree with a postgraduate qualification." John Hannon, Senior Careers Advisor at NUI Galway said postgraduate students have an excellent track record in terms of employment. "NUI Galway's most recent Postgraduate Students Survey shows that 75% of postgraduates are now in employment, while a further 17% are in further education and training." 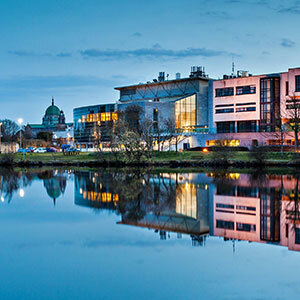 NUI Galway currently offers over 100 taught programmes and over 50 programmes which can be completed by research. The University also offers a number of postgraduate courses taught through Irish and online distance learning is available in certain disciplines. An extensive study into life in rural Ireland, which covers a wide range of economic, environmental and social issues, has been launched by the Minister for Community, Rural and Gaeltacht Affairs, Mr Éamon Ó Cuív, at a special reception at NUI Galway. The Rural Living: An Analysis of 1,249 Households in the Republic of Ireland, survey was conducted by students of the Rural Development programme at the four NUI constituent universities; University College Dublin, University College Cork, NUI Galway and NUI Maynooth. Its findings offer a contribution to the debate on the future of life in rural Ireland whose population today faces the challenges associated with the decline in full-time farming as a way of life, the expansion of part-time farming, increased urbanization and the rise in commuter towns and villages. Commenting on the study, Minister Ó Cuív said the study was a valuable contribution to our understanding of the changes and pressures being experienced by rural communities in a time of radical change. "The academic directors and students on the programme, who have contributed to this body of research deserve our thanks," said Mr Ó Cuív. "It presents a comprehensive overview and analysis of the current status of rural households in Ireland while underlining the value and relevance of collaboration between universities in the area of rural research, programme design and delivery. Monday's launch was preceded by a seminar featuring addresses by academic experts in rural development from each of the four universities. Professor Michael Cuddy, Department of Economics, NUI Galway, delivered an overview of rural development in Ireland, which formed a key component of the study. "Ireland now has two rural societies which are very different in respect to the challenges they face," he said. "The first is urbanized and integrated into the global production and consumer society while the second is traditional and continues to face the challenges of migration and increasingly costly social services. The time of 'crying wolf' for all of rural Ireland has passed, there must be two different approaches to these distinctly different challenges." The original Rural Development programme, introduced at diploma level in 1996, was expanded in 2004 to include a Bachelor of Science Degree in Rural Development. The students benefit from the combined expertise of the four participating universities who offer the courses by distance education. The programmes for mature students contribute to the attainment of national policy objectives for higher education in expanding access to higher education and providing opportunities for lifelong learning. The annual NUI Galway Alumni Awards will be presented at the University's seventh annual Gala Banquet, which will take place at the Radisson SAS Hotel on Saturday 4th March 2006. This year's Banquet will celebrate the inaugural year of the University's International Scholarship Programme which is part of NUI Galway's mission in international education. The event will focus on the University's role as an international force for change in improving educational opportunities for students from developing countries. The centrepiece of the Gala Banquet is the presentation of the Alumni Awards, which celebrate the life-long value of an NUI Galway education and recognise individual excellence and achievements among the more than 50,000 graduates worldwide. Dr Iognáid Ó Muircheartaigh, President of NUI Galway said: "The achievements of the distinguished graduates which we honour each year through the Alumni Awards programme underscore the excellence of an NUI Galway education. This year, the high calibre of Award winners in each of the Award categories reflects the outstanding success of our graduates across many diverse spheres of public and professional life. These outstanding alumni serve as an inspiration for our current students and are excellent global ambassadors for their alma mater." Alumni Awards will be presented to the following: NUI Galway Award for Law, Public Service and Government: Judge Mary Faherty, BA 1982, LLB 1984 Circuit Court Judge Bank of Ireland Award for Business and Commerce: Maria Mahon, BComm, 1990 CEO of IrishJobs.ie	AIB Award for Literature, Communications and the Arts: Dr Patrick F Wallace, BA 1969 Director, National Museum of Ireland BA 1969, Director National Museum of Ireland, author Medtronic Vascular Award for Healthcare and Medical Science: Prof Donald McDonnell, BSc 1983 Professor of Pharmacology and Cancer Biology at Duke University Medical Centre Seavite Award for Natural Science: Prof Frank Gannon, BSc 1970 Director of European Molecular Biology Organisation Duais Hewlett-Packard don Ghaeilge (Hewlett-Packard Award for Irish): Máire Mhic Uidhir, BA 1969, ADO 1970 Former Press and Information Officer, NUI Galway TBD Award for Engineering, IT and Mathematics: Noel Fogarty, BE 1984, HDip in Eng 1989 Vice President of Operations with Boston Scientific Ireland Tickets for the Gala Banquet on the 5th March cost €150 each or a table of 10 for €1,500. An urgent need for reform of mental health legislation in Ireland is the focus of a lunchtime seminar at the Irish Centre for Human Rights, NUI Galway on Friday, 13th January 2006. John McCarthy, the subject of a recent RTE Would You Believe documentary, Diary of a Madman, which chronicled his personal experience of severe mental illness, will deliver a talk on Mental Health, Human Rights and the Law at the Irish Centre for Human Rights, Earl's Island at 12.30pm. The Corkman has drawn on his own experience of mental illness which led to suicidal tendencies, extreme loneliness and isolation over a three-year period that saw him admitted to several mental health institutions. Although his illness almost cost him his home, his livelihood and even his own life, McCarthy has recovered to become an ardent campaigner for the rights of the mentally ill. As part of PRO Cork Advocacy Network, McCarthy has been campaigning for a change in the law regarding the treatment of those with mental health problems, and a change in society which would give people the dignity they deserve. He believes that until the law is changed to end forced incarceration, forced medication and electroconvulsive therapy (ECT) in the treatment of mentally ill patients, society will not change its attitude towards the issue of mental health. McCarthy has been invited as a delegate to a forthcoming United Nations Ad hoc committee hearing on the rights of the disabled. He is a member of MindFreedom, an international organisation that campaigns for the human rights of the mentally ill and has written a book of poetry based on his experiences, Hope on a Rope. The Department of Marketing at NUI Galway has announced the appointment of Senator Feargal Quinn to the position of Adjunct Professor of Marketing. Senator Quinn's first formal engagement in his new role will be held on Monday, 27th February at 5.00pm, at Áras Moyola, where he will deliver a lecture, 'Reflections on Business and the Senate'. Senator Quinn is an outstanding marketing practitioner who has set global customer service standards throughout a career that has spanned almost 40 years. He is a regular keynote speaker at leading business conferences internationally and is familiar to MBA and MBS students at NUI Galway who have spent time with him discussing the marketing strategy of Superquinn, the supermarket chain he founded in the late 1960s. Elected to the Seanad from the National University of Ireland panel in 1993, Senator Quinn has among his many roles, served as chairman of the Applied Leaving Certficate Oireachtas Committee. His first engagement as Adjunct Professor, which is an honorary three-year position, will see him reflect on his business and Seanad careers to date and his current thinking on marketing, customer service, public policy and business. The appointment will see the senator further strengthen his ties with NUI Galway where he already supports, and has personally met students of, both the Masters and PhD research programmes. As well as delivering up to three lectures throughout the academic year, Senator Quinn's association with the University as Adjunct Professor will offer opportunities to attract leading services marketing professionals to NUI Galway. Welcoming the appointment, Head of the Marketing Department Dr Aidan Daly said: "Over the years, Senator Feargal Quinn has had a close association with the Marketing Department at NUI Galway and been a great supporter of our programmes. In his business career, he has set and achieved world-class standards in marketing and customer service. Therefore, it is a source of great pride to us, and recognition of our standing, that a person of his immense reputation has accepted our invitation to become Adjunct Professor in our Department." Academic excellence among the entering class of 2005/6 at NUI Galway has been recognised with a special ceremony to honour the 59 recipients of Entrance Scholarships at the University. The students, from throughout the country, were honoured by the President, Dr Iognáid Ó Muircheartaigh, on Saturday, 11 February 2006, at the Aula Maxima, where they were presented with a cheque for €1,450 and a specially designed to mark their achievement. The wide geographical spread of the winners is notable. The winners are drawn from 11 counties from Donegal to Limerick and Mayo to Carlow, including 34 scholars from County Galway. The scholarships have been awarded to students from 39 individual schools highlighting the fact that top academic talent is to be found in a wide range of schools, large and small, throughout the country. The scholarships are guaranteed to all new entrants who reach 560 points (or 590 in Medicine and Health Sciences). Fourteen students of programmes in Arts, Comerce, Law, Engineering and Medicine & Health Sciences, achieved the maximum 600 points, while 32 students attained 590 points or more. The President of NUI Galway, Dr Iognáid Ó Muircheartaigh, welcomed these high achievers, saying "We in NUI Galway are delighted to recognise the academic talent of these 59 outstanding students from all over Ireland. I am delighted to welcome them to our campus and commend them for choosing to undertake their studies at this University. We look forward to nurturing their academic talent and supporting them throughout their years of study". Tá Scoláireachtaí Iontrála bronnta ar 59 mac léinn céadbhliana in Ollscoil na hÉireann, Gaillimh. Ag searmanas speisialta inniú (Dé Sathairn) tabharfar aitheantas ó bhéal agus ón sparán don fheabhas acadúil i measc lucht chéadbhliana 2005 – 06. Cuid suntais é freisin gur ó aon chontae dhéag a tháinig na buaiteoirí – ó Thír Chonaill go Luimneach agus ó Mhaigh Eo go Ceatharlach – cé gur ó Cho. na Gaillimhe ceathrar agus tríocha díobh. Is fiú a lua go háirithe gur ó 39 scoil ar leith iad, rud a chruthaíonn arís, má bhí aon amhras ann, go bhfuil mic léinn den scoth le fáil in an-chuid scoileanna, idir bheag agus mhór, thart timpeall na tíre. Geallann an Ollscoil Scoláireacht €1,450 a bhronnadh ar gach mac léinn céadbhliana a fhaigheann 560 pointe (590 i gcás an Leighis agus Eolaíochtaí Sláinte) I mbliana, fuair 14 mac léinn na huasphointí (600) agus iad sin sna cláracha Dán, Tráchtála, Dlí, Innealtóireachta agus Leighis and Eolaíochtaí Sláinte, agus fuair 32 díobh 590 pointe nó os a chionn. "Toradh éachtach, gan aon agó" a thug Uachtarán Ollscoil na hÉireann, Gaillimh, an Dr Iognáid ÓMuircheartaigh, ar na torthaí sin. Agus é ag déanamh comhghairdeachais leis na buaiteoirí, dúirt an tUachtarán Ó Muircheartaigh gurb aitheantas iad na Scoláireachtaí Iontrála, ní hamháin ar an gcumas acadúil a bhí léirithe acu, ach freisin gur spreagadh é dóibh leanacht leo leis an gcuma sin a fhorbarit an méid is féidir Croílár na hOllscolaíochta é cumas na mac léinn a fhorbairt, go hacadúil agus í dtéarmaí forbartha pearsanta. "Muide anseo in OÉ Gaillimh, arb é an feabhas acadúil an chéad chloch ar ár bpaidrín, cabhróimid libh an méid is féidir linn, ach ag deireadh an lae braitheann gach rud ar an díograis agus ar an ngearradh acadúil ionaibhse," a dúirt sé. Chomh maith le seic €1,450, bronnfar scrolla speisialta ar gach buaiteoir ag an Uachtarán lena bhfuil bainte amach acu a cheiliúradh. 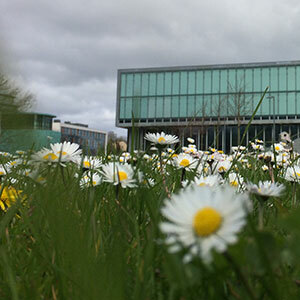 NUI Galway warmly welcomes the passing of the University College Galway (Amendment) Bill through all stages of its consideration by Dáil Éireann. This Bill amends the University College Galway Act 1929, an act the provisions of which have applied to all appointments in NUI Galway since 1929. The University sought an amendment of the Act, as it felt that the restrictions which the Act placed on the recruitment of staff were not helpful in the modern competitive environment in which the University operates. It was also felt that a more positive legislative expression of support and re-enforcement for the University's commitment to Irish, focussing on actions rather than merely recruitment, was desirable. The Bill, approved by the Dáil on Thursday 9th February 2006, addresses both of these concerns. The Bill places a statutory obligation on the University to ensure that one of the principal aims contained in all future strategic plans of the University shall be the provision of education through the medium of the Irish language and further requires that the Governing Authority and the President of the University ensure that that aim is implemented. Dr Iognáid Ó Muircheartaigh, President of NUI Galway said: "The University welcomes the fact that the Government has recognised, in legislation, the special role and responsibility of NUI Galway in relation to the provision of third level education through Irish. It also embraces the statutory responsibility placed by the Bill on the University to ensure that it fulfils this role. "Yesterday's decision marked a truly historic day for the University, as it looks forward to expanding and developing its long tradition of provision of education through Irish both on the campus, and, latterly, in its Gaeltacht centres in An Ceathrú Rua, Carna, Gaoth Dobhair and (in the course of development) Baile an Fhirtéirigh." Cuireann Ollscoil na hÉireann fáilte nach beag roimh theacht i bhfeidhm an Bhille Choláiste Phríomh-Scoile na Gaillimhe (Leasú) ag gach céim ar cuireadh san áireamh é ag Dáil Éireann. Is leasú an Bille seo ar an Acht Choláiste Phríomh-Scoile na Gaillimhe 1929. Bhí baint ag ailt san Acht seo le gach ceapachán a rinneadh in Ollscoil na hÉireann Gaillimh ó 1929. Ba mhian leis an Ollscoil leasú ar an Acht a fháil ar an ábhar gur ceapadh nach raibh na srianta a chuir an Acht ar earcaíocht foirne cabhrach sa ré nua-aimseartha, iomaíochta ina mhairimid. Ceapadh go mbeadh dearcadh tacaíochta le béim ní amháin ar earcaíocht ach ar ghníomhartha inmhianaithe chun gealltanas na hOllscoile i dtaca leis an Ghaeilge a chur in iúl. Cuireann an Bille, a fuair cead ón Dáil 9 Feabhra 2006 an dá rud seo san áireamh. Mar thoradh ar an mBille seo beidh sé de dhualgas reachtúil na hOllscoile a chinntiú go mbeidh fáil ar oideachas trí mheán na Gaeilge mar phríomhaidhm i ngach plean stratéiseach as seo amach. Cinnteoidh an tÚdarás Rialaithe agus Uachtarán na hOllscoile go gcuirtear an aidhm seo i bhfeidhm. "Is cúis áthais don Ollscoil go dtugann an Rialtas aitheantas reachtaíochta don ról agus dualgas faoi leith atá ag Ollscoil na hÉireann, Gaillimh maidir le oideachas trí mheán na Gaeilge a chur ar fail. Chomh maith leis sin cuirtear fáilte roimh an dualgais reachtúil a chuireann an Bille ar an Ollscoil féin lena chinntiu go gcomhlíontar an ról seo", arsa an Dr Iognáid Ó Muircheartaigh, Uachtarán Ollscoil na hÉireann, Gaillimh . "Ba mhó an cinneadh sin ón lá inné ó thaobh staire na hOllscoile de. Ní amháin go dtugann an Ollscoil aghaidh anois ar oideachas trí mheán na Gaeilge a chur ar fail ar an gcampas ach le déanaí sna hionaid Gaeltachta sa Cheathrú Rua, Carna, Gaoth Dobhair agus (i mbun forbartha) Baile an Fhirtéaraigh." The renowned artist and sculptor John Coll will officially open Múscailt '06, NUI Galway's Spring Arts Festival which runs from 20th – 25th February 2006. For one whole week the campus will be alive with concerts, theatre, dance, exhibitions, readings, film and live performances. A fantasy parade by MacTeo travelling all over campus will herald the opening of the festival. Almost all events are free and everybody is welcome. 'Múscailt' means to awaken/inspire/celebrate. Highlights of this year's festival include an original dance piece by Tanya McCrory to music by Alec Roth performed by Con Tempo, Ensemble in residence; a talk by the renowned performance artist Nigel Rolfe; a two-day film festival in a mobile cinema; a concert by Emer Mayock, flautist and piper, with guests; a performance by sound artist, Danny McCarthy, 10 original one act plays and an abundance of new and exciting art on view indoors and outdoors. "This is the sixth annual arts festival on campus and Múscailt has grown stronger each year," says Arts Officer Fionnuala Gallagher. "Muscailt aims to provide a forum for established and emerging artists including our own artistic community on campus. The creative talents of the student societies have combined to produce a wide range of events; literary, drama, dance, art, photographic, the musical and film festival among others. Comic Art is a strong theme running throughout this year's programme with one of the highlight events being a performance of Neil Gaiman's Sandman by the FanSci society". "This year's festival features several participatory activities with extended visual arts programmes including Kathryn Crowley located by the yellow X, Pat Comer's photosin the Quad and Mary Dempsey's installation in the Archway. "We hope the people of Galway will join with us in this tremendous celebration of the arts." Two major intervarsity competitions will be held during the week with the Literary and Debating Society hosting the grand final of the prestigious Irish Times Debate, while an Cumman Dramaíochta present Féile na gColáisti - the Irish language student drama festival. Múscailt '06 kicks off on Monday February 20th at 1.15pm in front of Áras na Mac Léinn at John Coll Sculpture, Ceiluradh, with MacTeo drummers and refreshments. This year's musical, Little Shop of Horrors, will be staged in the Black Box Theatre until 11th Feb, showcasing the talents of the Galway Univeristy Musical Society (GUMS). Múscailt '06 presents the perfect opportunity to take part in the cultural life of NUI Galway. The festival is supported by Galway University Foundation, the Arts Council, AIB and the Arts Office. Pupils from a number of selected Galway City primary schools are to be honoured for their participation in the 'Sport for Success' programme in NUI Galway, designed to encourage pupils in disadvantaged areas to continue their education right up to and including third level. Mr John O'Donoghue, TD, Minister for Arts, Sport and Tourism, will present certificates to pupils from St. Michael's Boys School, Mervue; Holy Trinity Girls School, Mervue; and Scoil Bhríde, Shantalla, who have completed the programme, during a special ceremony at the Ó Flaherty Theatre, Arts/Science Building on Thursday, 23rd March, 2006, at 7.30pm. 'Sport for Success,' part of NUI Galway's Access programme since 2002, is a combined sport and homework initiative that promotes third level education and the value of education itself, as well as improving sporting techniques and skills. On one afternoon each week over the spring term, pupils from 4th, 5th and 6th class come into the University where Access students and Access university under-graduates provide help and guidance with homework. On completion of that task, the pupils can then enjoy an hour of popular sports such as soccer and basketball. They learn new sports such as uni-hockey, climbing on the climbing well, Tai-Bo, spinning and juggling. According to Imelda Byrne, NUI Galway's Access Officer: "The 'Sport for Success' programme contributes to the overall Access Mission of the University which is to support greater equality of opportunity for students from disadvantaged backgrounds. It is an excellent opportunity to introduce children and also, very importantly, their parents and the wider community to the University, which is committed to offering participants a chance to spread their wings in their journey as life-long learners." Professor Ger Hurley, Vice President for Strategic Initiatives and External Affairs said: "The University has demonstrated its commitment to advancing the educational, social, economic and cultural needs of the Western region through outreach initiatives such as "Sports for Success". The children are learning the importance of links between health and fitness, of teamwork through sport, and of the importance of good nutritional practices. Most importantly, the children are making connections to the University and are gaining the motivation to continue these activities and their education into adult life." NUI Galway's Alumni Association has announced a memorial arts award in honour of the late Jerome Hynes, one of the University's most distinguished graduates who passed away last year. The Jerome Hynes Award for Best One Act Play recognises the outstanding contribution Jerome Hynes (BA 1980, HDip in Ed 1981, LLB 1988) made to the Arts both nationally and internationally as Chief Executive of Wexford Festival Opera for 17 years and as a member of An Chomhairle Ealaion/The Arts Council. The award is presented during the University's Springtime Arts Festival, Múscailt. The inaugural Jerome Hynes Award for Best One Act Play, sponsored by the University's Alumni Association, was presented by Alma Hynes, Jerome s widow, to the cast and crew of Basin of Myself, an original play written, directed and performed entirely by NUI Galway students. The play was one of 10 performed as part of this year's Múscailt Festival. The presentation piece was created by the renowned sculptor John Coll, a former winner of the NUI Galway Alumni Award for Literature, Communication and the Arts. The University has also commissioned a larger piece by John Coll in memory of Jerome, which will be unveiled in the Bank of Ireland Theatre later this year. Signed works by Nobel laureate Seamus Heaney, Edna O'Brien and Galway writer Ken Bruen are among the many books on sale at the inaugural NUI Galway 'Buy-a-Book Day' which takes place on Thursday 9th March, 2006,from 10.30am to 7.00pm. The general public are invited to the sale in the Aula Maxima, where an exciting and diverse range of books will be available. Other notable authors to contribute to this charitable event include Gerald Dawe, Moya Cannon, Ré Ó Laighléis and Joan McBreen. The proceeds from the event will be donated to international, national and local charities through the University's United Charities Group (UCG), with a portion of the total amount raised being used to purchase an item of interest for the Special Collections department at the James Hardiman Library. Formed in 2004, UCG consolidates the efforts of the three University based charitable committees: the Third World Appeal Committee, the IFUT Charitable Committee and Medicus Mundi. 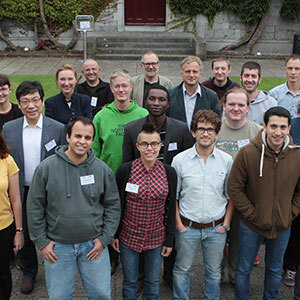 The event is one of the more novel ideas to emanate from the University's Staff Suggestion Scheme – Ursmaointe – and has been generously supported by several businesses throughout Galway. Vice President Mary O'Riordan said: "This is a wonderful initiative, coming from the staff of the University, which allows the University community to respond to the needs of the charities who will benefit." An end-of-day bargain sale will be held on the day to ensure that all stock is cleared, with any remaining stock being donated to local charity shops.